We’re committed to educating clients as to their roofing options. 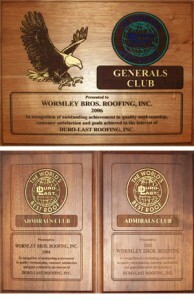 Welcome to Wormley Brothers, proudly serving the residential and commercial roofing needs for all of Metro Atlanta & the southeastern US. Wormley Brothers has become one of Georgias most successful and respected commercial roofing contracting companies. Were committed to educating clients as to their roofing options and to being honest, dependable and roofers you can trust. We provide quality products, guaranteed work, and exemplary customer service at reasonable rates. With over 22 years experience were licensed, bondable and insured and all of our work is fully guaranteed. 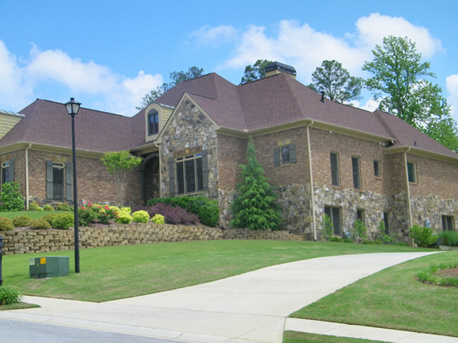 As master roofers, weve achieved elite contractor status with Duro Last and have earned several awards including the coveted John R. Burt Award. This Award recognizes outstanding achievement in quality workmanship, customer satisfaction and goals achieved. Were also Firestone & Carlisle certified, a certification that few in the industry can acquire, which allows us to offer customers the best warranty in the business. With over 4 million square foot of roofing installed and thousands of satisfied customers we at Wormley Brothers aspire to one common goal, to exceed our customers expectations. We provide manufacturers certified estimators and references with each estimate. At Wormley Brothers we do the job right, on time, every time.